We spend a lot of time telling people they have to focus on the positive and to cut out the negative. But sometimes what we perceive to be a negative isn’t really a negative at all, and the positive doesn’t always bring out the best. They’re just the opposite sides of the coin – like “yin” and “yang”. You can’t have one without the other – nor should you try to have one without the other. Take “anger”, for example, we often treat it as a negative – something to control and to suppress. 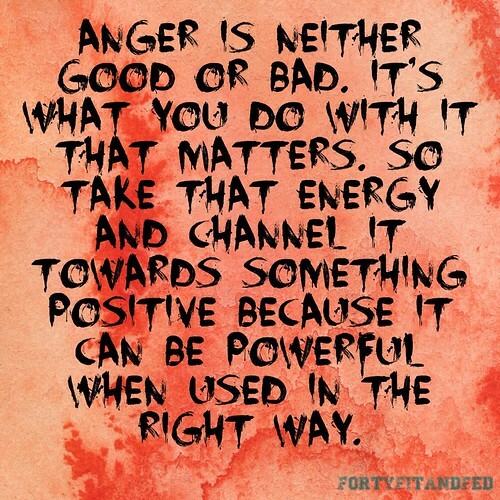 But anger isn’t good or bad. It’s just an emotion. What makes it good or bad is what you choose to do with it when you feel it. If it moves you to go out and destroy things, then it’s bad. If it drives you to better yourself or the world around you, then it can be good. Like the time when I was training for a race… I was supposed to go running with a friend who was extremely late to pick me up. I was so angry by the delay that when I got out to the track, I ran longer and faster than I had ever trained before. 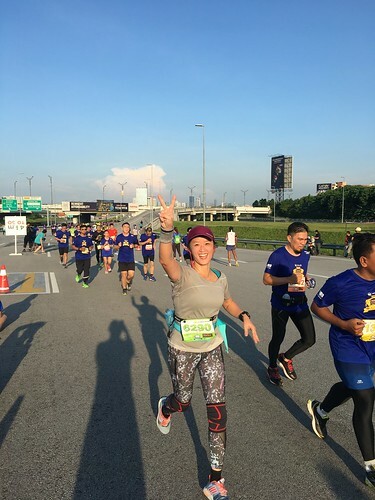 The anger fueled me and gave me the energy to run harder than I normally could when I was calm and relaxed. I am not the only one who feels this way. Many athletes have reported that they performed their best when they were angry, vengeful, or resentful. I feel a need to add a qualifier. Anger can drive you to do better, but rage will impede you. We want to get angry, but not so angry that we lose all control. So this is my rationale… If you’re feeling content, you’re happy with the way things are. It means you’re settled and the drive to push yourself harder is absent. The drive has to come from somewhere and usually, it stems from feeling discontented with something. But in our positive thinking world, discontent equals negative – it is something to squash because we should focused on being happy with our lives. 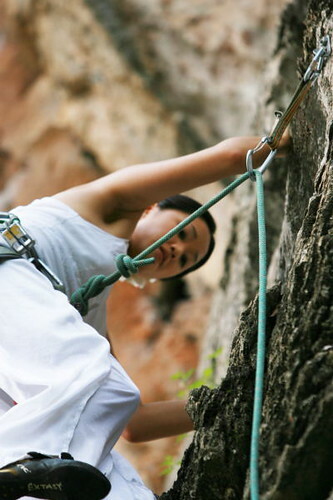 Back when I was deeply into rock climbing, I was desperate to become a better climber. I wanted to be stronger and to be able to climb harder grades. I was so consumed by the desire that I spent a significant amount of my free time rock climbing and doing things that would make me better. There was frustration and, yes, anger, when I couldn’t perform to an ability that I felt was acceptable. Having to skip training because of other commitments annoyed me. There was nothing “positive” about these feelings as far as “conforming to society” was concerned, but it was positive from a “climbing better” perspective. When I compare the way I felt about rock climbing to running, I can see why I’m not a good runner. I put in the mileage during training only so that I can complete the distance without killing myself on race day. I’m not interested in running faster and I don’t care if I beat my timing from the last race. Come to think of it, I’m not even sure why I run because I can’t profess any great love for it. There is no “drive” pushing me to run better. We’re better off expecting things to go badly. Or, as they say, “prepare for the worst”. In every scenario, from university students seeking jobs to athletes trying to make the team, patients recovering from surgery to people fantasising about secret crushes – those that visualise how great everything is going to be often end up with less than those who fretted that things would not go so well. So there you go… don’t settle. Get angry. Do better.